What Is The Tetris Effect And How Does It Affect Your Thinking And Memory? Remember that old game where you constantly rearranged blocks made of four tiles called tetrominos? For many of you, Tetris may still be a beloved pastime if you’ve downloaded it as an app on your phone! Like any quintessential gamer, if you devote ample time and attention to this fascinating game, it begins to form patterns in your thoughts, mental images, and even dreams. This phenomenon is called the Tetris Effect (alternately, Tetris Syndrome). In other words, it is the tendency to identify every worldly object as being made of four squares and attempting to determine the best-fitting position for the objects. 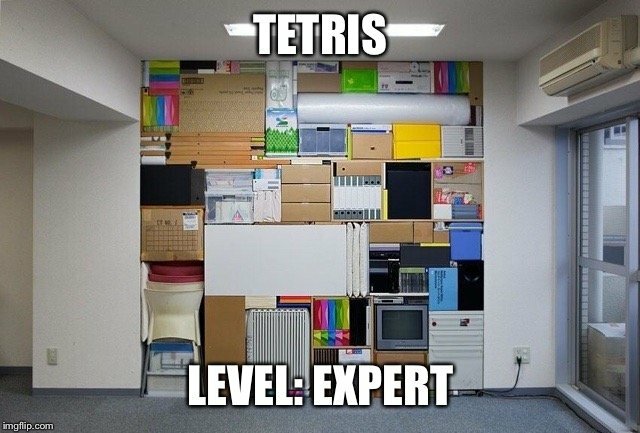 People who play Tetris for extended periods of time may find themselves thinking about methods by which different shapes in the physical world can fit together—such as the boxes on a supermarket shelf or the buildings on a road. In this way, the Tetris effect becomes more like a habit. Let’s now look at some of the interesting findings of popular research studies conducted to study this unique Tetris effect. One of the earliest studies on the Tetris Effect was conducted by renowned psychologist Richard Haier and his team of researchers at the Department of Psychiatry and Human Behavior at the University of California in 1991 to demystify the enigma behind the Tetris Effect. Brains of Tetris players were scanned in this study, which found a steep learning curve associated with Tetris. The answer that Haier was interested in learning was when the stimuli increase in speed (the speed at which the tetrominos fall) and the decision-making becomes harder, does the brain need more energy? Haier found that the brain actually requires less energy to play higher levels of Tetris. Haier agreed that this may sound counterintuitive, but he pointed out that it is consistent with the idea of high brain efficiency. It was observed that for first-time users, Tetris significantly increased the cerebral glucose metabolic rates (GMRs) that are directly associated with brain energy consumption levels. Yet, after six to eight weeks of regular daily playing, GMRs comes back to normal, while the performance increased manifold. The best players of the game who could efficiently deal with the intricate geometry of Tetris were found to have the lowest GMR levels. A study in 1994 conducted by researchers Lynn Okagaki and Peter Frensch found that Tetris had a positive effect on three areas of spatial skills—spatial perception, mental rotation and spatial visualization—for the participants who played this game incessantly for a prolonged period. The team of researchers at BioMed Central (BMC) conducted a study about the Tetris Effect in 2009. They used MRI scans of the brains of the participants for the study. The study tested two groups of people: one that played Tetris for 30 minutes a day and the other one that didn’t play at all. Looking at the MRI images, the researchers discovered that the gray matter of the participants who played this game had thickened, compared to those people who didn’t play it. The study concluded that Tetris can lead to physical cognitive development and also enhance memory capacity. Tetris has been found to induce this flexibility of brain matter by thickening it. The BMC study concluded that playing Tetris improves the functioning of the brain in a healthy way and allows it to operate more efficiently. Another research by Oxford in 2009 found that if the Tetris is played soon after a traumatic event, the preoccupation with the varied shapes of the Tetris game has can prevent the recurrent recollection of traumatic images, thereby reducing the intensity and occurrence of traumatic reminders. 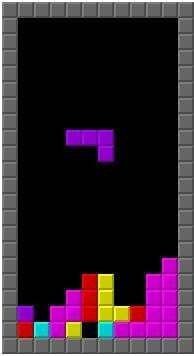 It was discovered that Tetris changes the way sensory memories are formed in the period after trauma and decreases the number of flashbacks that are experienced afterward. The Tetris Effect is not restricted to Tetris alone. A similar phenomenon can be experienced with other games too. 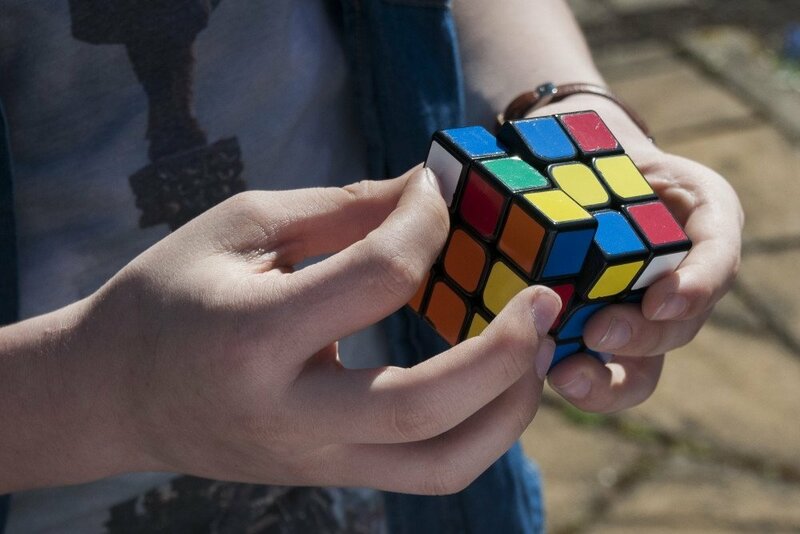 The involuntary visualization of the Rubik’s cube algorithm or an illusion of curved lines after completing a jigsaw puzzle are a few examples of this bizarre effect.